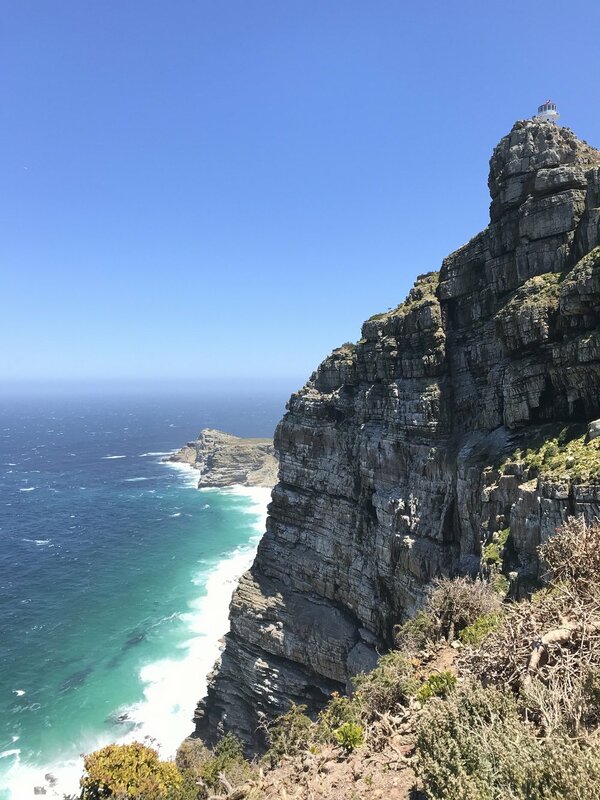 Cape Point is located in the southern section of Table Mountain National Park and the entrance fee to the Table Mountain National Park is R145 per person. You can hike up to the lighthouse or you can take the a ride with the Flying Dutchman Funicular – The Flying Dutchman Funicular takes its name from the local legend of the Flying Dutchman ghost ship. The funicular runs from the lower station at the car park up to an incline of the upper lighthouse, the funicular leaves from the lower station every 3 minutes and it costs R70 per person. Tc and I decided to hike up which took us approximately 15-20 minutes while my parents took the funicular which we were told had amazing views. We decided to venture down to the furtherest lighthouse and this extended our hiking time to about 30-40 minutes in order to reach the site. There are also over night hiking trips can be arranged and you can camp in the Park. Please be aware of the strong winds and ensure that you are wearing the correct shoes should you decide to visit. Once at the common lighthouse you view the spectacular Table mountain range which stretches from Signal Hill to Cape Point and the coastlines of the Cape Peninsula. You can admire the beautiful rocks carved from millions of years of crashing waves and strong winds as well as the beautiful valleys, bays and beaches to the Robben Island and the beautiful Atlantic ocean. 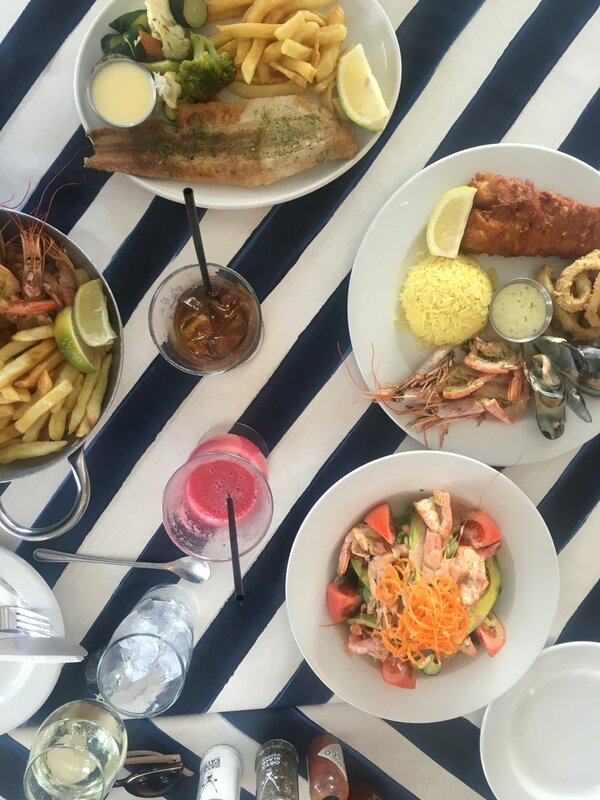 You can also have lunch at the Two Ocean’s restaurant which has the most spectacular views in South Africa, if not the world. The Cape of Good Hope is mistakenly known as the Southern most tip of Africa however it is the most South Western tip of Africa and to visit the Southern most tip of Africa and experience where the Atlantic and Indian oceans meet you have to travel to Cape Agulus. After our visit to Cape Point we drove back via Simon’s town which is well known as a Navel base. 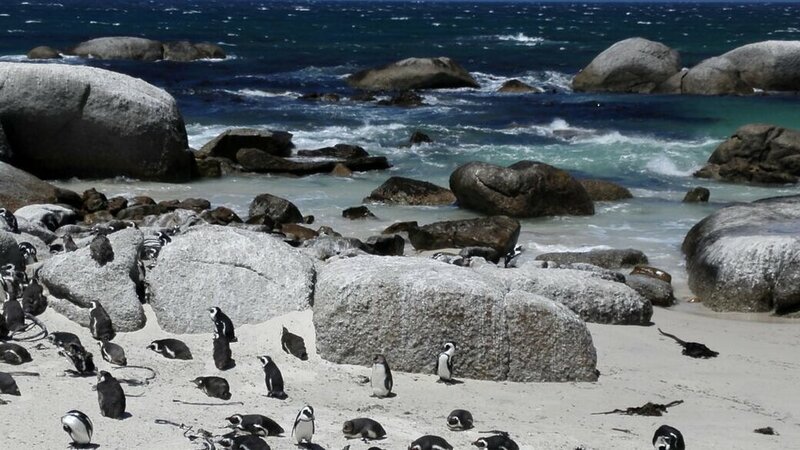 We went for a visit to Boulders Beach which has become famous as the home of the thriving African penguin colony. Boulders Beach is situated within a residential area and the only way to access it is by foot. This is great way to view these magnificent animals in the natural habitat and the entrance fee is R75 per person. For all those that really want to experience penguins up close you can take a visit to Foxy Beach. We had lunch at the harbour at the lovely Bertha’s restaurant located right on the harbour, this restaurant is decorated in white and blue hues with a very nautical theme. We ordered a variety of different seafood dishes paired with local wines. It was interesting to find out that the Indaba wine we had for lunch is not from the Western Cape but the Kwa-Zulu Natal region. A visit to Cape Point and Boulders Beach should definitely form part of your must-see list should you ever find yourself in Cape Town.